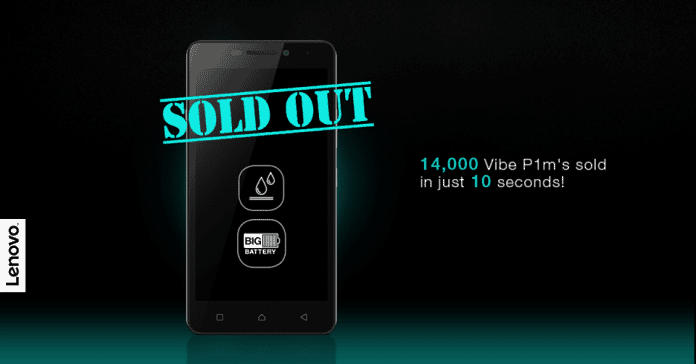 Lenovo Vibe P1m had its first sale today in Flipkart. More than 1.75 Lakh users registered to buy this budget-end, but only 14000 units were at stake. Today was the first sale where all the stock kicked off in just 10 seconds. This isn’t like the Xiaomi smartphones flash sale records, but one thing can be noticed by analysing the number of units sold in such a small time is the users’ interest over this powerful smartphone. The specifications of this budget-end are spectacular making it the best smartphone under 10K. Let’s have a look over the key features. It has a massive battery of 3900mAh which gives a continuous talk time of 16 hours. As it also features the OTG function, it can act as a power bank for other devices too. Every new smartphone now features a special key on the left/right side for a special function and this Vibe P1m is not an exception in the list. It has a special key just like the power button for switching to different power modes. The best feature that I can say in this budget-end is the Quick charge function. With all these features, the phone’s price might be bit higher, but Lenovo made a right move in making it be under 10K, that is Rs. 7,999 only. As the first sale is over when will be the second sale? Let us know your opinion on this first flash sale.